It’s time to begin your journey. 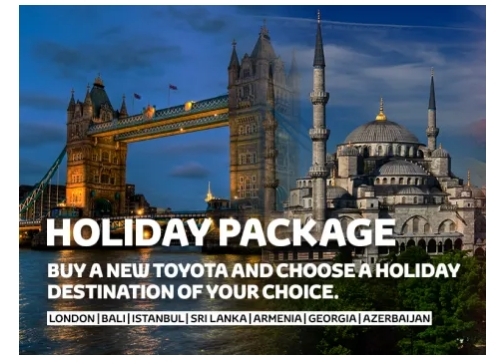 Call 800 TOYOTA for more details. Get the best Service for your Toyota with additional savings. Toyota is the only service center in town that has Toyota certified technicians and provides Genuine parts only. Choose the contract that fits you best from 1, 2, 3 or 4 years and enjoy 0% instalments from selected banks. 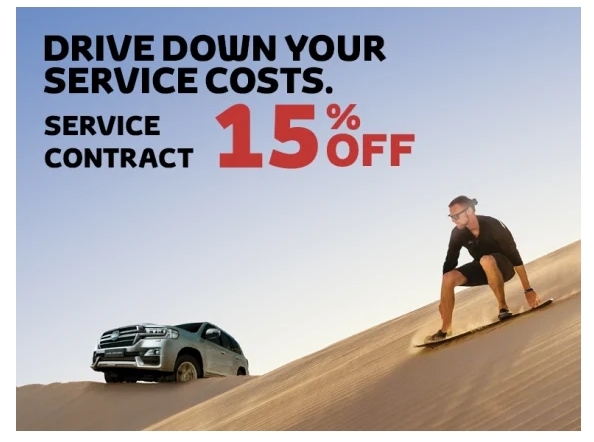 15% off on all Service Contracts. Terms & conditions apply. Offer valid until the 30th of June for all Toyota vehicles with a 10k service intervals. BMW BMW Ramadan Offers Extended! Al-Futtaim Motors operates and manages the Toyota franchise through a nationwide network of state-of-the-art showrooms, workshops, parts, tyres, batteries and accessories operations strategically located throughout the UAE. Starting operations in the UAE … see more..